Welcome and thanks for dropping in. I'm putting the virtual kettle on so we can have a cuppa (for all the non-Brits, that's a cup of tea!) and a chat. Ultimately, you're ready to grow a successful profitable business! Am I right? If so, you've come to the right place my friend! Because as a mum I know that you need a business that is Flexible, Fulfilling and Profitable; and as a business success coach, it's my job to get you exactly that. I studied Computing & IT at Uni, having no real idea what to do as a career. I desperately envied people who had a "calling". After I graduated I worked as a web developer and copy writer for a small company for a couple of years but when I felt limited by the lack of opportunities to learn or progress (not to mention increase my salary!) I decided to move on. I took a job in a large Investment Bank and ended up staying for 10 YEARS. Having always told myself I wouldn't be a slave to the corporate world, I'd become exactly that. However, it wasn't all bad. I got into training early on and discovered a passion for teaching. As my career progressed I started to coach and mentor others and quickly found an affinity for helping others to achieve success. During those ten years, I coached high performing individuals for success in a range of areas including gaining promotions; time management; presentation skills and sales confidence. I mentored many women returning to work after maternity leave and helped them to increase their confidence in their skills and expertise. It was this rich and diverse coaching experience that brought me the most fulfilment in my corporate role. I also became an expert at dismantling processes and restructuring them in a streamlined and efficient way. That’s why one of my passions today is performing deep-dives on my clients’ businesses and helping them create structures and systems that create more ease, flow and automation in their business. Later in my career, with the help of my own mentor, I discovered an aptitude for leadership and quickly stepped into and then grew within a leadership position. I believe that as a business owner, much of our success is dependent on our leadership skills - being capable of big-picture strategic thinking; of motivating others; of effective communication and delegation - and so I am grateful to have this experience to bring to my clients. So my time in the corporate world taught me a lot. But after I had my daughter I found it difficult to convince my employer I could make my role work part-time. The thought of leaving my daughter in the care of someone else to return to work was nerve wracking enough, but the thought of leaving her 5 days a week had me in complete turmoil. On the one hand, I was laden with guilt around returning to work and leaving my daughter, on the other I felt ready to have something of my former self back. To have something in my life that wasn’t just about being a mother. But added to this struggle was my feeling of being at my employer’s mercy. We couldn’t afford for me not to work or to take a lesser paying part time role elsewhere. I felt backed into a corner with little choice or power. Eventually, after appealing their decision and fighting tooth and nail, they relented to 4 days a week. I felt like I was missing out on precious time with my daughter. I was expected to squeeze 5 days of work into 4. Eventually, more battling and one amazing new manager later I had finally struck a part time deal I was more satisfied with, doing 3.5 days a week. But only temporary. What I soon came to realise is that my role and responsibilities had not been reduced. Yet often the value of my contribution was perceived as diminished. I tried to look around for other roles inside and outside of the company and found it really difficult to find anything with the same level of flexibility, without taking a huge cut in pay. I thought I had to trade work fulfilment for the flexibility that had been so hard won. Then one day, out of the blue, I found out I was at risk of redundancy. This was the same week that my daughter started school. I was in pieces, panicking about how on earth I could find something else flexible that fit in around family stuff. I started to look around for jobs. It became obvious that my choices were bleak. I could find something flexible, but terribly paid. Find something well paid, but not at all flexible. Find something flexible and just about enough to get by on, but not at all fulfilling. Ever so occasionally I would find something that might be nearing towards fulfilling, had some flexibility and didn't pay horrendously, but it would mean moving. Not something I wanted to do. At every turn, I was met with compromise. I decided I was not going to compromise. I was going to take back control. Control of my work/life balance. Control of how fulfilled I felt by my work. And after figuring out how to leverage my own skills to do it for myself I knew I was going to help others do the same. I now know that I can have it all: something that lights me up, time with my family, time for myself, more money. I get to decide. However, it took me a while to realise this. To dare to believe that I am in control, I can just decide what I want and then set about making it happen. Initially I thought I would perhaps work very part time and freelance as a side-hustle and see how that might grow. The idea of starting up a fully fledged business and supporting myself with that income alone seemed like a distant dream at that point. But I started to work on developing myself. I immersed myself in books, audio-books, podcasts, webinars - you name it - anything I could get my hands on to learn more about starting my own online business. 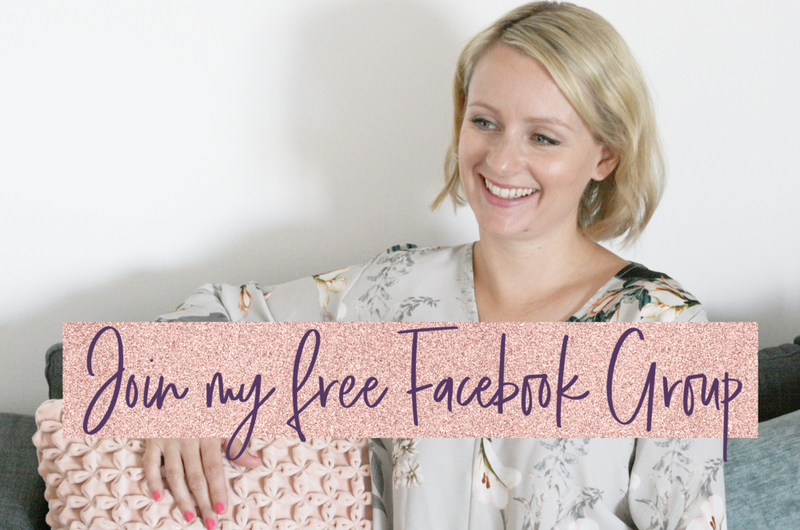 I enrolled in a 6 month social media strategy qualification and started running several campaigns to grow and hone my skill set. At the same time I started to work on changing my mindset, challenging my beliefs about what is possible. And then one day, like a light bulb moment, I realised: I get to decide. I can stop playing small. I can do this. If you've got the fire in your belly to start or grow your Flexible, Fulfilling & Profitable business, then you're exactly the sort of lady I like to work with!